PalatiumCare is an affordable, easy, and reliable wireless nurse call system, which empowers senior living facilities through innovative reporting and proven technology. Developed on a platform for unmatched ease of use for residents and staff alike, PalatiumCare uses fewer components which reduces cost, power consumption, risk of system failure, and adds to the system’s flexibility without sacrificing any features or functionality. With PalatiumCare’s dedicated server laying on your existing network, you are not at the mercy of a single point of contact for your nurse call system. Your system remains safe and secure, free of any threats from user error, viruses, and power loss. Whether you own, or manage one property, or several properties; you have access, and information at your fingertips. 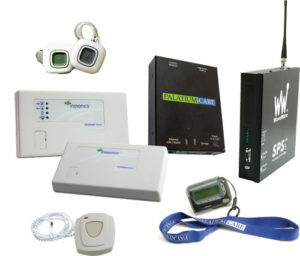 The PalatiumCare system lays on your network, giving you access to live alerts and reports from any computer in your building, and even from off-site. Easy to find, and easy-to-read reports allow you, and your staff quick access to information about resident care, and property summaries. Use this information to market your community, motivate staff, and reassure families that their loved ones are in good hands. Industry leader Inovonics provides the technological backbone for PalatiumCare. Coupled with the PalatiumCare server and dedicated technicians, you can be confident that you have a reliable system you can trust.